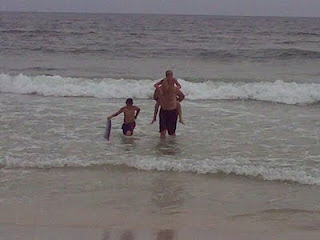 Here is a quick pic of friends and family while we're at the beach in Gulf Shores. Fun! You're sneaky. I didn't know you took any pictures. Good thing I'm not in it! We had so much fun hanging out with you guys. Wish it could've lasted longer, though. Yep, sneaky me. Good thing I had my fancy new phone (even though it's still not a "great" quality picture). Look forward to seeing your pics up on FB sometime!